Niall OConnor: "Ireland is a disturbed child in a fantasy world." "Ireland is a disturbed child in a fantasy world." 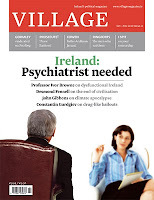 Ivor Browne in interview with Nicola Carroll of the Village Magazine. Quo Vadis Ireland?